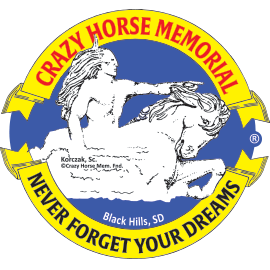 "Crazy Horse Memorial embodies the Dream of Korczak and Ruth Ziolkowski and Henry Standing Bear tohonor all North American Indian People". Contained in a plastic coin capsule. Made in the USA.